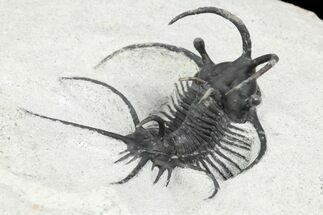 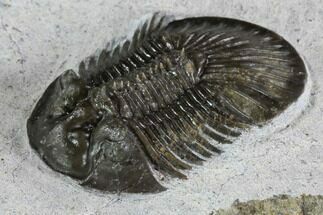 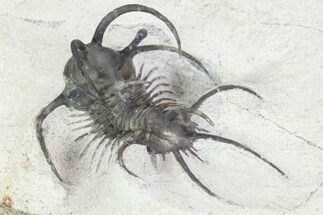 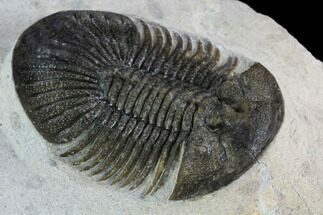 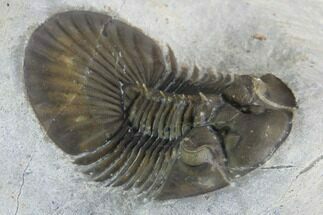 Now this is one alien looking trilobite, it's almost hard to imagine that it was once alive inhabiting our oceans. 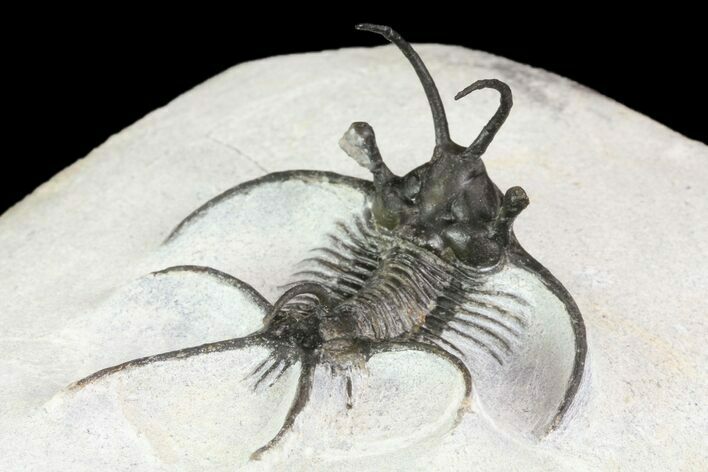 It's a Ceratarges aries from the Middle Devonian limestone of Morocco. 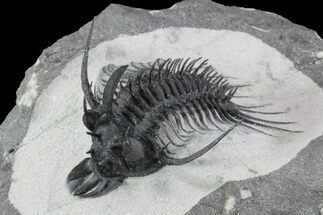 One can imagine that the large spines may have served as defensive protection against fish that had just begun to develop hardened jaws and likely had trilobites on the dinner menu. 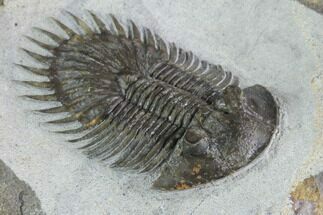 Including the spines this specimen is 2" long. 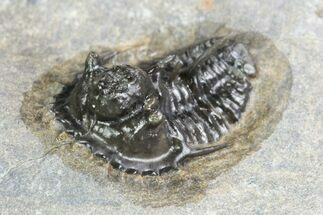 There is some restoration to the genal and tail spines along repaired cracks and we've touched up some airscribe dings on the head and tail of the trilobite. 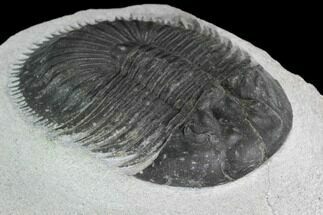 This is bargain specimen of a fairly rare trilobite.